Scott's Web Log: Tell the FDA +/- 20% Is Not "Good Enough" ... Today! Tell the FDA +/- 20% Is Not "Good Enough" ... Today! Great minds must think alike! Kelly Kunik wrote about this very same topic as I was going to publish this posting. Read her post here. Last June, the U.S. Food and Drug Administration's new Commissioner Dr. Margaret A. Hamburg wrote a formal letter of response to the American Association of Clinical Endocrinologists (AACE), which had formally asked that the regulatory agency act on the issue of clinical accuracy of home blood glucose testing supplies. The New York Times reported that the group had requested the FDA to push for greater accuracy in a letter sent to the FDA in May 2009. 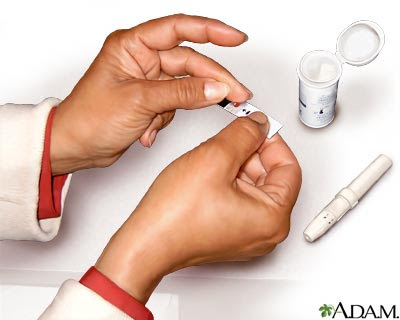 The standards used in the U.S. (and elsewhere) today for blood glucose tests were actually established in 2003 by the Switzerland-based multinational organization known as The International Organization for Standardization (ISO), and those standards permit manufacturers +/- 20% deviation from actual clinical laboratory tests for blood glucose levels. (The formal document number is ISO 15197:2003 entitled "In vitro diagnostic test systems - requirements for blood-glucose monitoring systems for self-testing in diabetes mellitus", but be advised that the organization will charge you a hefty 130 Swiss Francs to download a copy of the lengthy document, or about $122 U.S. based on current exchange rates). The AACE was prompted, in part, to ask the FDA to step in to tighten standards when a study undetaken by government researchers actually revealed when comparing tests from 5 different brands of widely-used blood glucose meters/test strips showed the results varying from lab values by as much as 32%. What's more, the study controlled for a number of different factors that might impact readings in a real-world clinical environment, such as ensuring that subjects washed and dried their hands before each test, for example. Dr. Hamburg asked the FDA's Center for Devices and Radiological Health, the unit of the FDA responsible for reviewing, approving and establishing standards for blood glucose self-testing supplies sold in the U.S., to respond to the AACE. In their response, the Center for Devices and Radiological Health did cite a number of different statistics that seemed to suggest tighter standards were probably appropriate, including the number of adverse events attributed inaccurate blood glucose test readings from these devices, a number to FDA readily acknowledges is most likely under-reported because reporting is voluntary. Then, in June 2009, the FDA formally pressed ISO to tighten the standards for self-monitoring devices for blood glucose, believing that ISO has the ability to act much more quickly and broadly than the FDA does all by itself, although the FDA did hint that if ISO refused to act on the request, then the FDA "may instead recognize other (higher) performance standards" on its own. For the FDA to act on it's own would likely be more time-consuming because Federal regulations mandate that the Agency must have a formal public comment period announced in the Federal Register, a minimum period of time to collect responses, followed by a formal review of the comments gathered before even reaching a conclusion. Collectively, the process can take well over 18 months at a minimum, which would then need to be followed by a sufficient time period to enable manufacturers to comply with tighter new standards. At a two-day meeting held to review blood glucose meters held by the FDA on March 16-17, 2010 (see here for the FDA's notice on that meeting) held at a Hilton Hotel located the Maryland suburbs just outside of Washington, DC, the FDA solicited input from a number of relevant stakeholders including: physicians, nurses, healthcare providers who work in intensive-care settings, industry representatives, diabetes educators, professional societies, consumers and even patient advocate groups to determine whether FDA review criteria for these blood glucose meters/strips devices should be changed "in order to promote greater public health". Among the attendees representing the industry was Alan Cariski, MD of Johnson & Johnson's LifeScan, Inc. unit and Mike Flis of Roche's home diagnostics unit. "How much accuracy you need depends on who you are. Those with type 2 diabetes who treat their condition with diet changes and oral drugs don't need to monitor their blood levels as closely as those with type 1 diabetes who take insulin", he said. In effect, he's saying "Look, 90-95% of patients have type 2 diabetes and they don't require insulin, so the current standards are more than adequate for the vast majority of users". That's a lame excuse. Why should anyone with diabetes, regardless of type, have to deal with such inaccuracies? The industry has repeatedly suggested that more stringent mandates will result in higher prices. To some extent, that's true, and we need to realize that retail prices for testing supplies are higher than most payers (meaning insurance companies, and/or Medicare) actually pay. The FDA estimates the pricing differential to range from 20-40%, depending on the drug or device. All I can say in response to Dr. Ginsberg is: "Oh my God, the industry is claiming that the minority should not be dictating tighter standards for everyone else and threatening that doing so will possibly raise Medicare costs!" Sorry, but that smells like an excuse to avoid doing anything more. As they say "Why buy the cow when you can get the milk for free?" This business is a cash cow, plain and simple. "At issue is whether incorrect meter readings stem from problems with the technology or other issues such as patients or doctors and nurses not using the devices properly. Other problems can include trouble with test strips, blood samples, hand washing and other factors that can impact results." Unfortunately, my impression is that representatives with a direct, vested financial interest in the fortunes of the blood glucose self-monitoring device and supply industry seemed to rely on an all-too-common yet pathetic practice that has always existed in diabetes care: to try and deflect any criticism away from the treatment (or in this case, the device/strip manufacturers) and instead shift the blame to the end-users of their products, notably patients and to a lesser extent, doctors, nurses and hospitals which now routinely use the devices even if they are not formally approved for clinical use in those non-individual settings. The industry does claim to support the FDA in establishing standards to for blood testing devices that are used by doctors and nurses, but FDA regulators should be asking: "why wouldn't they?" Support for that effort translates into more users and buyers of their products, thus more earnings for their shareholders! Claims that users aren't washing hands which can indeed impact test results was, from a patient's perspective, a pretty lame effort to suggest user error is the biggest issue, when the fact is, it isn't. This is a less-than-blatant attempt to discredit a legitimate need for greater precision even while claiming that they really "support" greater precision, but the FDA shouldn't buy it!! Fortunately, Ellen Ullman actually attended the FDA meeting, and was there to represent the needs of patients and/or their caregivers (such as parents of children with diabetes), rather than the more typical style of FDA meeting where there's a conference room full of "experts" consisting of scientists, doctors, nurses and industry reps basically discussing the issues amongst themselves because it's required by law, but then do pretty whatever industry wants anyway. That helps explain why the diabetes industry, especially under the previous Commissioner, usually got what it wanted from the FDA. For those of you who don't know Ellen, her son Zach was diagnosed as an infant less than 2 years old if memory serves me correctly (he's now in college), and she has long been very actively involved in the online diabetes community, including the Children with Diabetes website, DiabetesTalkFest and many others. Ellen sat on the far right-hand side of the panel table for the DRI's Diabetes 2.0 Conference in Miami last November (see here for the video of that panel discussion). Ellen presented the results of a survey she conducted (Kelly Kunik of Diabetesaliciousness(TM) wrote about the survey here), and although Ellen told me she felt she could have done a better job than she did at the meeting, I really think she did very well! More importantly, I believe her mere presence there was far more important than what was actually included in her presentation. The FDA notes that transcripts of the workshop may be requested in writing from the Freedom of Information Office (HFI-35), Food and Drug Administration, 5600 Fishers Lane, rm. 6-30, Rockville, MD 20857, approximately 15 working days after the public workshop (on or around March 29, 2010) at a cost of $0.10 cents per page. In your request, you should specify the docket number for the event (which is "FDA-2009-N-0604") and the title "FDA/CDRH Public Meeting: Blood Glucose Meters - March 16-17, 2010". A transcript of the public workshop will also be available (which should be free, if I'm not mistaken) on the Internet at http://www.fda.gov/MedicalDevices/NewsEvents/WorkshopsConferences/ucm187406.htm. There you'll be able to read all of the details from this important meeting, including the formal positions expressed by the various parties in attendance. From what I can discern, it appears that most practicing doctors and patients were on the side of tighter standards for BG meters and strips (the tighter the standards, the better as far as I'm concerned, although I do not want this the manufacturers to use it as an excuse to jack up prices, which they likely will). Submit Your Own Comments on Whether You Think Current Accuracy Standards for BG Meters are Sufficient -- Online! It seems weird to comment, "Fantastic post, Scott!" Wish you did not have to post about this. But, as usual, well done. I left a comment at the FDA Comments Docket. Uh, long winded, from the heart, I guess. Hope it made sense. Ha. Thanks for getting into the guts of this. Thanks for the link to the FDA's Comments Docket- they will be getting an earful from me! It's unacceptable that any range of errors is considered acceptable and something needs to be done! EXCELLENT POST, Scott. I am using you as a jumping off point and echoing your call to action in my post tomorrow. 20% is NOT good enough for accuracy. We deserve a higher standard!! I don't like that T2 is the excuse, either. Even on diet and exercise alone, I depend on the meter to tell me if symptoms of high blood sugar are real or not. Not that I can do anything about it when it happens, of course. I use it to predict A1C levels and I use it to figure out if I might be getting sick. Obviously, with my husband being T1, I understand the more immediate need for accuracy T1 deserves. But for officials and companies to say it isn't important for T2's either? shameful. (1) what Medicare allows re: testing is criminal -- and what industry is teaching our medical professionals is worse. 4-5 tests a day sufficient for someone on insulin?!?!?! Another important observation is that 20% means something very different at 250 mg/dl (range: 200-300) than at 100 mg/dl (range: 80-120). Still, as a d&e T2, I see 80 as a whole lot different than I see 100. Great post Scott, as always lots of useful background information. Thanks. I just had this realization. What if drugs that we currently buy were available in doses that were +/-20%? So a tablet with 500 mg of Levaquin came in tablets that might actually be anywhere from 400mg - 600mg. I think then the industry might notice just how this affects us. As someone who used to work for a manufacturer, it good to see reaction from a patient. I have written an article and a Letter to the editor, which attacks the current glucose standards. Unfortunately, both require a subscription but I’d be happy to send you reprints. Basically, these are opinions which expose inadequacies in the current standards and suggest alternatives as well as testing protocols to see that they are met. 1. Jan S. Krouwer and George S. Cembrowski A review of standards and statistics used to describe blood glucose monitor performance. Journal of Diabetes Science and Technology, 2010;4:75-83. Thanks for such an excellent post Scott. I hope your readers will write with their opinions as I believe FDA is genuinely interested in hearing everyone's comments and experiences. It's not only the absolutely unacceptable +/- 20% margin of error when bg is over 75 mg/dl, but perhaps even more egregious is that the standard only requires it to reach that 95% of the time. The other 5% unexplained "outliers" are somehow permitted without explanation. And those 5% outliers, as we who are familiar with frequent bg checking to aim for tight control, are potentially very dangerous and perhaps even lethal if insulin is dosed based upon them. We all have experience of seeing numbers on the meter that not only have no explanation, are so completely false and out of range that those of us with the education and means to check 2-4 additional times, will do so. But think of the people who don't even know the meter results can be so off and do dose based on that one number. How is that permitted? Further, FDA does not permit manufacturers to compare their accuracy with others and are not permitted to make claims of being more accurate. So what we as informed consumers also need, is standardization and the ability to know the accuracy of one meter from the next so we may make informed consumer decisions. How absurd is it that in the ADA 2010 Consumer's Guide to purchasing meters, there is an article on the importance of accuracy, followed by the comparison chart which lists features such as blood glucose sample size, batteries, voice activated etc. for comparison sake, and NOT accuracy? I urge your readers to also stress the need for consumers to be able to compare and choose the most accurate meters available on the market. Jan I respectfully request a reprint of your article too if possible. OK, this +/- 20% standard isn't exactly new info for me, but the fact that there is a company offering a more accurate solution is! So here are a couple of questions. Do any/some/all insurance plans cover the WaveSense meters and strips? Are they truly price competitive with the '20%ers' out there? If the answer to these questions is, "Yes" then I will buy their products and let the market drive better accuracy. have a look at this stuff on LDN. Some think it maybe of benefit for preserving beta cell function but as an out of patent drug no drug company will pay to get it trialled. Imagine if LDN stopped the immune attack and Byetta helped restore some function. No wonder no insulin company will pay for the trials. The day T1 diabetics were all lumped into one big disease called “diabetes,” was the day we, as insulin-dependent diabetics no longer had real importance in the diabetic community. Corporate America, and even our charitable groups, knew that by adding T2 to this conglomerate called “diabetes” the cash cow would be ever productive because the two diseases are so different but also shackled together by certain symptomologies (the money-makers). In statistics, the accuracy of results explained by statistical analysis, can never be any more important than the percent of significant accuracy of any technology used to collect the data. In the case of +/- 20%, we have all used crappy meters from Day One—knowing that when the meter read 80 mg/dl, we could actually be sitting at 64 . . . or 96. To look at this another way, consider T1’s who are sensitive to insulin dosage usually dose in one-unit increments. In this case, the least unit of dose or the smallest amount of exercise—or even the results of one carb-equivalent—will affect blood glucose levels by more than the allowable meter error. At a reading of 100, a 20% error could easily take one out of the ‘normal’ blood glucose range regardless of which option you choose to correct your blood sugar. As corporate America pushes endocrinologists toward tighter and tighter bG control in the T2 population, it is ludicrous for a meter-maker to use present standards as an excuse that T2’s don’t need more accurate meters. In fact, with the use of pills, insulin and Symalin products, if T2’s get into trouble with low bG’s, the results are devastating in many cases because lows do not respond to food as easily with Symalin in the system. This also places greater strain on hearts that are weakened by age and stress. This morning I weighed 186.6 pounds. With a scale as accurate as my BGM I would know I weighed somewhere between 149.28 and 223.92 pounds. Is that close enough for you? Sadly what corporations really mean is that their 'money printing presses' or the machines that make the test strips, of course where all their profit is made, are working fine. They do not want to have to re-tool an entire industry if they are not forced to as it would eat on their profits, so they claim this or that and the politicians do nothing because drug companies have real power and can make life hard for them. Some one should hold these people responsible but sadly we the people have let them take too much power and now often I do not even trust decisions made by the FDA. They have the technology, someone in government just has to put their foot down and make the declaration. I am certain they could be within 5% if it were mandated, they have certainly made enough money from these strips, and perhaps if they themselves had diabetes they might care more. Again Corporations, they do not care about health, just profits. I'm 47 years old and am not (to my knowledge) a diabetic. However, I have had my fasting blood sugar checked 3 different times (with one of those home testers) over the course of about 2 months and have had very erratic readings. First it was 111, then 113, and finally 122. However, my readings after eating at least 2 or 3 hours beforehand have been 90 and 111 taken about 1 month apart. I always thought the readings should be higher after you eat? What gives? Is the 5 year old test meter with 4 year old test strips giving me inaccurate readings? SSV: The age of the meter itself is irrelevant as long as the batteries inside are fresh and you can find strips that work with it. However, the age of your test strips can be a big impediment to accuracy because the chemicals used in the strips are impacted by exposure to the environment (even a closed canister of test strips is not completely air-tight, especially over a period of four years). My suggestion is to acquire some new test strips (assuming the battery in your meter is fresh) and try again.